An impressive hanging alternative to the standard Anthony Gallo Micro. 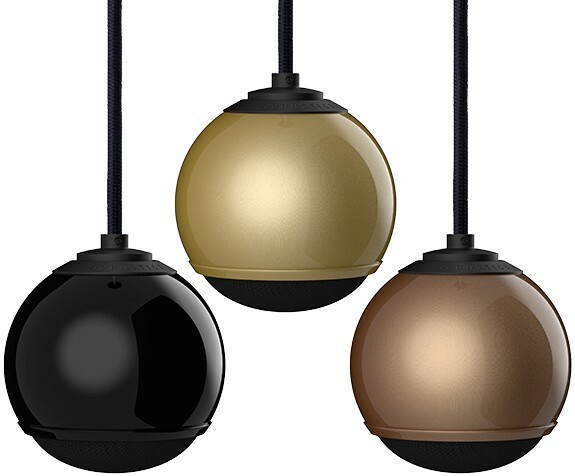 The fitted mount allows them to be hung from the ceiling for a striking statement and stylish music solution. 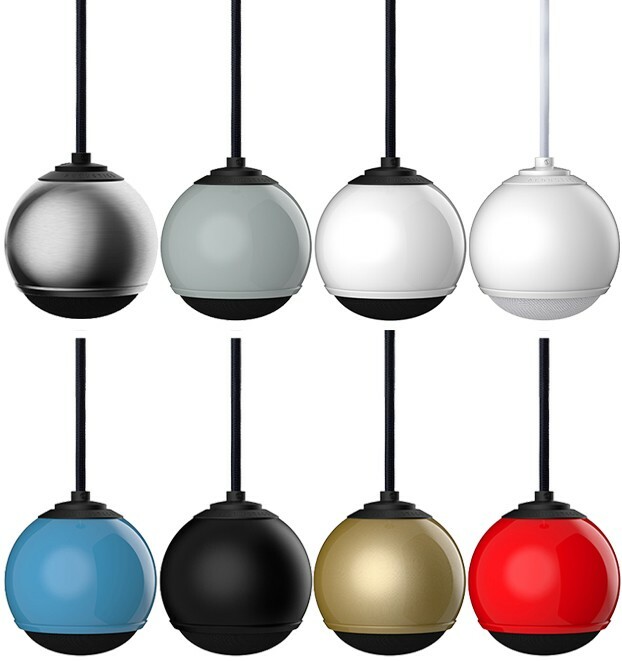 Anthony Gallo Micro Droplet Speaker (Single) is unlike conventional loudspeakers which may also be capable of producing fine sound but are generally too large, obtrusive and power-hungry for many contemporary living spaces. 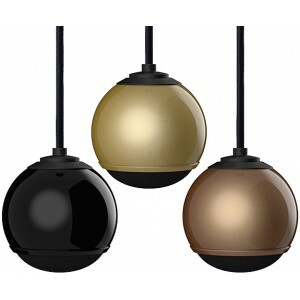 On the other hand, Gallo Acoustics Micro is a 4" diameter all-metal sphere, available in a wide range of colours and finishes with a mount for hanging from the ceiling saving all your floor/shelf space. Micro produces a vast soundstage and pinpoint imaging, in a beautifully small, visually attractive package. Two channel stereo, home cinema or multi-room audio; with the Micro the choice is yours. Add our powerful TR-3D subwoofer and an array of mounting options and it’s easy to configure a Micro system to fit your home and audio aspirations. A speaker that comes in a palette of 11 standard colours to complement any room, from simple matt black to full-blooded red and extravagant metallic gold. For special projects, there’s also a SPECTRUM bespoke colour service. By choosing a sphere, the strongest possible shape, Anthony Gallo has eliminated internal resonance and external diffraction, the two main causes of loudspeaker distortion. Patented S2 fill technology enhances low frequencies that go way beyond conventional satellite speakers. By using 3" full-range driver and by eliminating the crossover, the Micro is endowed with spatial characteristics unsurpassed by any other loudspeaker, regardless of size or price.